Different type of vacuum cleaner has differences that make each model useful in its own way, especially when it comes to hardwood flooring. We’ve handpicked 5 top choices of vacuum cleaners that are designed for effective hardwood floor cleaning, and testified by user reviews. The Bissell Hard Floor Expert vacuum cleaner 81L2W enables you to capture both huge and small particles with its powerful suction and unique V-shaped layout. The ends of the V-shaped foot capture small debris along the edges. The unique shape of this foot base also allows clean cleaning along furniture legs, corners, tight places, and other hard-to-reach spaces. 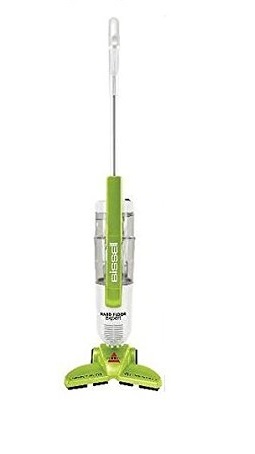 If you are on tight budget and/or if you don’t mind to have a corded vacuum cleaner with 20 ft cord length solely for basic hard floor use — then this Bissell Hard Floor Expert stick vacuum cleaner (under $100) is the one you should look at. However, if you also need to vacuum thick carpets and pet hair, then it’s recommended to choose other alternatives (eg. upright vacuum cleaner) with higher suction power which is better in getting hair and fluff out of carpets. The best cheapest vacuum cleaner for hard floor cleaning. A 7.1 pounds lightweight vacuum cleaner that can be easily moved around house. Unique V-shaped foot base for cleaning along furniture legs and corners. Bagless technology, easy to clean. Does not provide any attachments, not capable to clean above-the-floor areas. May have difficulty to reach areas like under the bed / sofa with low clearance space. This is a corded vacuum cleaner, while some people may prefer cordless. Shark DuoClean Powered Lift-Away Speed Upright Vacuum cleaner (NV771) is a budget dual clean upright from Shark, with many users found it to be a good value. this vacuum cleaner comes with a HEPA filter designed based on anti-Allergen Complete Seal Technology that traps allergens and dust inside the vacuum, and keep them away from the air you breathe. The DuoClean technology developed by Shark features a bristle brush to deep-clean carpets, together with a soft brushroll to pick up small, fine, and large particles from carpets and other surface like bare floors. Its Lift-Away technology allows you to easily convert this upright vacuum to a lightweight pod, by simply releasing the vacuum canister and lift the wand to clean hard-to-reach above the floor areas such as ceilings, stairs, and furniture. The brushroll garage can open to grant you easy access to the brushroll for convenient maintenance, without turning the vacuum upside down. This compact upright vacuum cleaner with 30 feet cord length is versatile to clean all surfaces. The following video shows another demonstration of the capability of Shark DuoClean technology in cleaning hard floor and carpet. Upright vacuum has the most powerful suction among all different vacuum cleaner types. Great for heavy duty cleaning usage. DuoClean technology for effective hard floor and carpet cleaning. LED headlights can expose pet hair and particles in darkness under furniture, beds, etc. Allows user to quickly release canister and lift the wand to clean above floor areas. Bagless technology, easy to empty and clean. This 13 pounds upright vacuum cleaner may be heavy for some female to move it around. Miele Compact C1 with German technology and 6-stage rotary selector is a powerful canister vacuum cleaner that is excellent for hardwood floors. Its AllTeQ floorhead is designed for hard floors and low-pile carpet, while the air clean sealed system and turbo brush can reliably remove hair and lint. As shown in the video below, you just need to press on the foot switch button to change from low-pile carpet cleaning to hard floors and carpet cleaning. It includes rubberized wheels to prevent scratches on hard floors, alongside a metal sole plate for easy gliding across surfaces. This lightweight vacuum cleaner with 360 degree swivel wheels and good manoeuvrability can help to easily cover large area cleaning, with its working height is adjustable with stainless steel telescopic tube. The floorhead, suction tube and handle all connect securely and lock into each other with an audible fit. They can be easily disengaged by touching a button, eg. when you want to attach a different accessory. After use, simply hook the floorhead onto the rear of the vacuum cleaner to leave the suction tube in a secure position. The video below covers further testing on Miele Compact C1, and found it to be excellent for hard floor cleaning. Strong suction power to provide heavy-duty performance for large areas. Easy to maneuver and move around the house. Rug & floor combination nozzle, easy mode changed via foot switch button. Comes with accessory set like upholstery tool, crevice nozzle, and dusting brush. Easy storage with floorhead and suction tube are parked at rear. It’s a corded vacuum cleaner with bag system which may not be preferred by some people. The price of Miele Compact C1 is at the higher end vs other canister vacuum cleaners. May be cumbersome to drag the canister body and long hose up and down the stairs. 2 LED power brushes designed for optimum performance: Soft-roller power brush for hard floor to protect the hard surface, and Multi-tasker power brush which is excellent for dirt embedded in carpet. Efficient 4 Stages Fully-sealed Filtration System with Rinse-free Filter Cleaning Tool, that provides persistent suction and uninterrupted cleaning experience. 2 batteries that support 60 minutes runtime. Weigh 5.5 pounds, this stick vacuum cleaner is much lighter than upright vacuum cleaner (eg. vs Shark Duoclean NV771 at 13 pounds). Tineco A11 Master comes with 7 every-need-met accessories, including crevice tool, flexible extension hose, flexible multi-angle tube, mini power brush that can be used to vacuum upholstered furniture and mattresses, etc. Results show it works well for hard flooring, carpet, and pet hair too! Cutting the wire is hugely convenient, making cordless vacuums more and more popular. Much lighter than upright vacuum cleaner, and easy to transport up or down stairs. Dedicated power brushes for hard floors and carpet for optimum cleaning performance. LED brushes can expose fine debris and pet hair in darkness under beds, furniture, etc. Has extra heads to swap out for every needs, including for smaller or higher up places. Excellent for compact home with frequent small messes that require simple cleaning. Bagless technology with one-touch-empty dustbin. 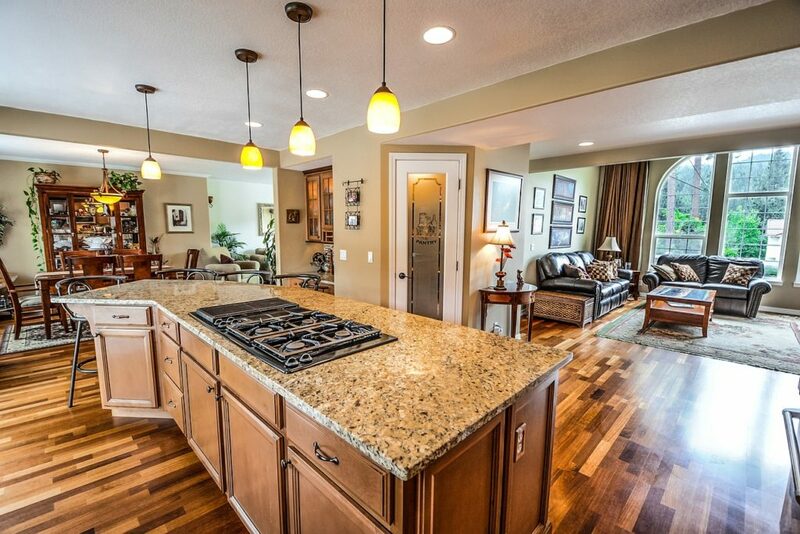 Less effective than upright cleaner for large homes and heavy duty clean-ups. Much more expensive than corded stick vacuum cleaner. While the regular mode of Tineco A11 Master is more than enough for quick clean-ups and daily maintenance cleaning, this cordless stick vacuum features Max mode that offers 120 air watts suction power. Watch the excellent video below and you’ll love what you see, including its efficacy in cleaning hard floor and carpet, lower noise level vs other models (such as Dyson V8) etc. Another key reason why we recommend Tineco A11 Master over the Dyson V8 cordless vacuum cleaner is: Quite some users reported that they experience battery life and charging issue with Dyson V8 as you can refer to these user reviews. It’s not a dream to get your entire house or apartment completely cleaned at the push of a button. Among the many robot vacuum cleaners, Roomba 980 by iRobot is one of the most advanced model with smart system design to navigate your entire home, keep track of its location, automatically cleans the area (and recharge as needed) until the job is done. This robot vacuum cleaner can intelligently sweep debris away from corners / edges to be suctioned off your floors, while the built-in sensors will also prevent Roomba 980 from tumbling over drop-offs or falling down stairs. Not only that this smart gadget will automatically increase power on carpets where it’s needed most, Roomba 980 will auto-adjust to keep the multi-surface brushes in close contact with different surfaces like hard floors. Robot vacuum automatically cleans the house to save you lots of time and hard work, especially if you have large area to clean. Excellent for cleaning of hardwood floors, tile floors, and laminate flooring. Low profile design allows it to get under low furniture like no other vacuum cleaner can. A godsend for people who are disabled or too frail to use a regular vacuum cleaner. Unable to reach certain areas like upholstery, staircase, and curtains. So other traditional vacuum cleaner is still needed. iRobot Roomba 980 is considered pricey for many people. Robot vacuum does not clean thick carpet as deeply as upright and canister vacuum. Like this Post? Then please Share it out! ← 5 Best Weighted Blanket for Kids: Great for Autism, ASD, ADHD, and Sensory Processing Disorder.